Magnet printing keeps your message front and center-- day after day! Custom magnets offer scores of promotional opportunities. Promotional magnets can be printed with your logo and contact information, giving fast access to key info when placed on a fridge or filing cabinet. 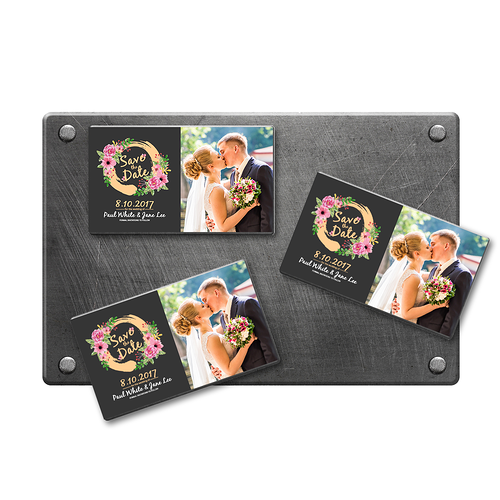 We can also make personalized magnets perfect for wedding and event reminders. We even have car magnets that turn any vehicle into instant outdoor ads. We offer a selection of durable magnetic stocks so you can easily find the options you need. Whether you want custom magnets at home on the fridge or on the outside of a moving vehicle, we’ve got you covered. Best of all, you can have your printed magnets ready to stick in as soon as 1 day. We offer the following magnet types. These are the ultimate solution for fast, repositionable advertising outdoors. 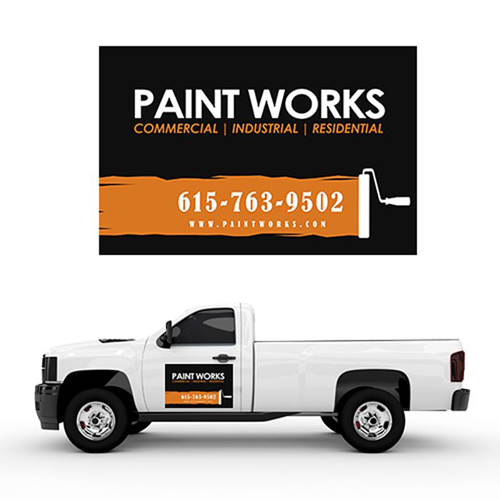 These clever vehicle magnets let you instantly convert a vehicle for business or advertising use in moments. We print custom car magnets on a heavyweight 30 pt. magnetic material, weather and wind-tested for the rigors of daily driving. If you absolutely positively need to remind guests of important events, look no further. Save-the-date magnets will save your guests the potential embarrassment of forgetting they have to be somewhere on a certain day. Custom save-the-dates are made with a thick 17 pt. magnetic high gloss UV stock, giving a premium look and feel that will stick in your guests’ minds. We all use our fridges several times a day, making custom fridge magnets a surefire way to keep a message in front of customers. The hefty yet attractive 17 pt. high gloss UV stock ensures your custom refrigerator magnets stay on fridges, lockers and other metal surfaces while giving your magnets a luxurious sheen that makes customers want to keep them. 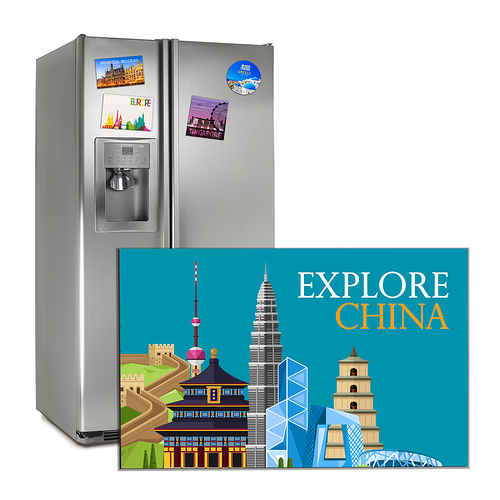 If you want to make souvenirs, calendars, or small ads then promotional fridge magnets are an awesomely sticky way to do it. Keep your business where it belongs -- in front of your customers, that is. Business card magnets are printed on vibrant 17 pt. high gloss UV stock and come in a range of different sizes, from the standard business card size (2” x 3.5”) all the way to the size of a large postcard (5.5” x 8.5”). This means you can create magnets you can easily hand out much like regular business cards-- or mail impossible-to-forget custom magnets in standard envelopes straight to your customer. If there was ever an “attractive” way to make your brand stick, this is it! Review our magnet templates for layout guidelines that will help your magnets look sharp and keep your print job on schedule. Try magnet printing today.